I love doughnuts! I have been known to wake up at the crack of dawn just to get my hands on a warm, fresh doughnut. This shop is open 24 hours. 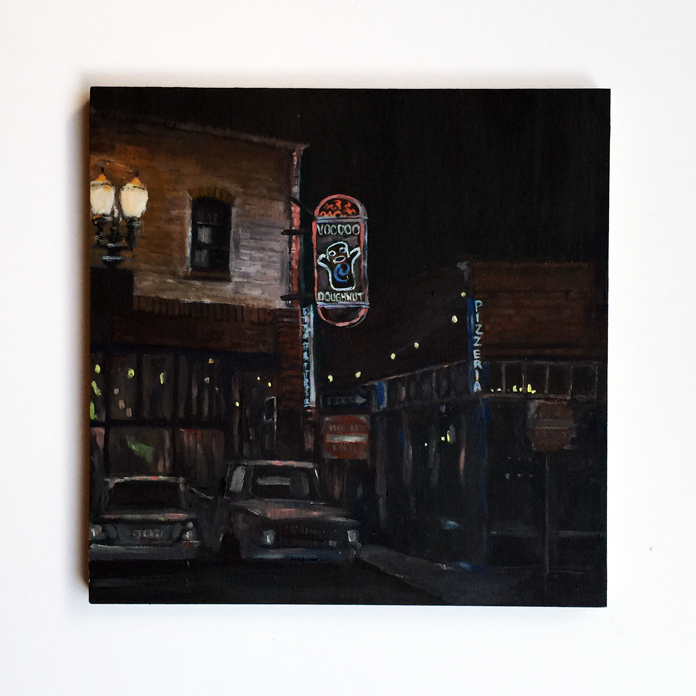 Since I have been painting different parts of Portland for the art show, "The Big 500", I thought, why not paint Portland's most famous doughnut shop? There are lots of amazing doughnut places around town, but VD was Portland's first unique doughnut experience. They have doughnuts with fun combinations such as bacon maple glaze or my personal favorite the Captain Crunch donut. It's one of those places where, if you are visiting Portland, then you have stop in. PS. Want to buy a copy of this print? Click here.